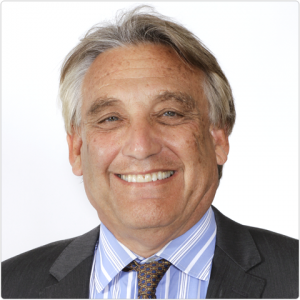 A family member of Didi Hirsch, the social worker and benefactor for whom our agency is named, Andrew Ellis Rubin is a retired criminal defense lawyer who joined Didi Hirsch’s Board in 1999. Rubin has been a passionate mental health advocate since the late 1970s, serving on the Boards of several mental health agencies including Mental Health Advocacy Services, Mental Health Association of San Bernardino, Mental Health Association of California and Mental Health America, Los Angeles chapter. He joined Didi Hirsch’s Board to fulfill his interest in contributing to an organization that provides direct mental health services to people in communities that lack affordable access to care. Over the years, he has held several leadership roles on Didi Hirsch’s Board, including Board Chair from 2004-2006. He currently chairs the Board committee of Alive & Running 5K Walk/Run, which raises awareness and funds for Didi Hirsch’s Suicide Prevention Center. Rubin earned a BA from Occidental College in 1971 and a JD from Stanford University in 1974. He was a member of the California Attorneys for Criminal Justice from 1978-2009, serving on the Board of Governors for several years and as Co-chair of the Board’s Contempt Committee from 1999-2009. Rubin is single and lives in Marina del Rey.